Every Spring and Autumn Ospreys migrate to Africa and back to the UK stopping off on the way to refuel. They migrate alone, stopping at favourite feeding sites along the way – sometimes for a week or so. The lakes running down to Gasper from Stourhead provide just such a refuelling stop. 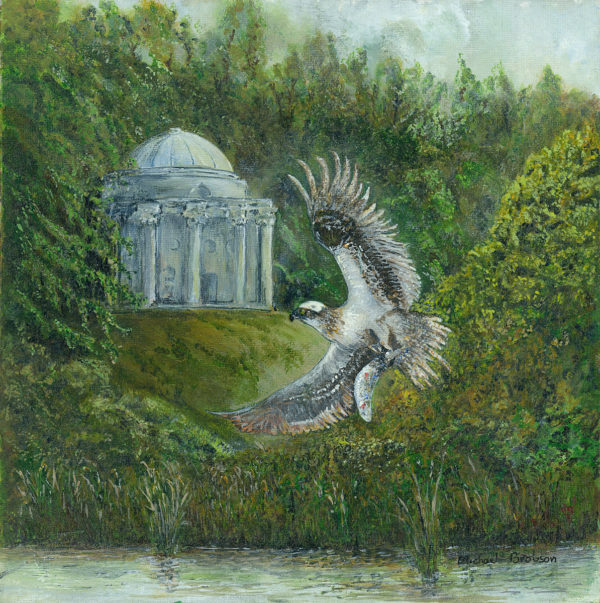 This osprey overlooked by the Temple of Apollo, a fish in its talons climbs and banks left to avoid the trees.